Although heart disease is often viewed as a man’s health problem, it’s actually the number-one killer of women in the United States. Every year, 435,000 women suffer a heart attack. And more than 6 million women in the U.S. are currently living with cardiovascular disease. But based on a recent study conducted by the American Heart Association, only 13 percent of women said they considered heart disease to be their greatest health risk. Most responded that breast cancer was what they feared most. It isn’t just happenstance that most people consider heart disease a man’s problem. Two-thirds of all heart disease research is focused on men. The general public doesn’t know enough about women’s hearts. When it comes to heart disease, women are missing out on important research, being under-diagnosed and lacking support. 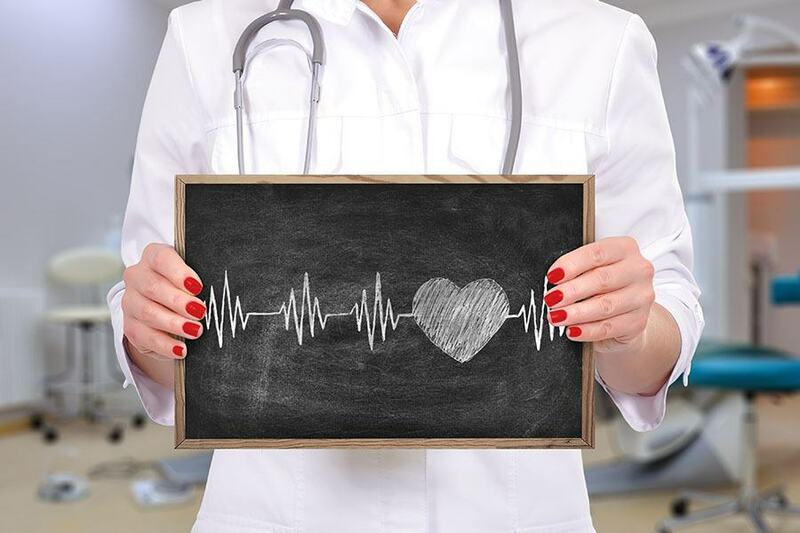 Many women who have suffered from heart disease say that their symptoms were initially diagnosed as stress, panic disorder, and even hypochondria. The most obvious difference between heart disease in women and men has to do with life events and hormones. Childbirth puts an enormous strain on a woman’s heart. During pregnancy, her blood volume increases by 30 to 50 percent to provide for the growing baby. To pump more blood each minute, her heart rate increases. Labor also presents its own added strain. When a woman pushes, she’ll experience abrupt changes in blood flow and pressure. These changes can take weeks, or even months to return to normal, putting her at an increased risk for problems. Conditions like preeclampsia, gestational hypertension, and gestational diabetes can contribute to heart disease and lead to preterm delivery and low infant birth weight. Beyond childbirth, women’s risk for heart disease can once again increase during menopause. Lower levels of estrogen pose a significant risk factor in developing heart disease in the smaller blood vessels. Estrogen is a protective hormone, so when a woman stops producing it, she has a higher chance of developing cardiovascular issues. While women can still experience the typical heart attack symptoms like chest pain, cold sweats and palpitations, there are also a list of others they may not know about. Women are more likely than men to have symptoms completely unrelated to chest pain like nausea or vomiting, shortness of breath, back or jaw pain, extreme fatigue, dizziness, lightheadedness or fainting, and pain in the upper abdomen. For more information on women’s heart health and Crozer-Keystone’s cardiovascular care, click here.